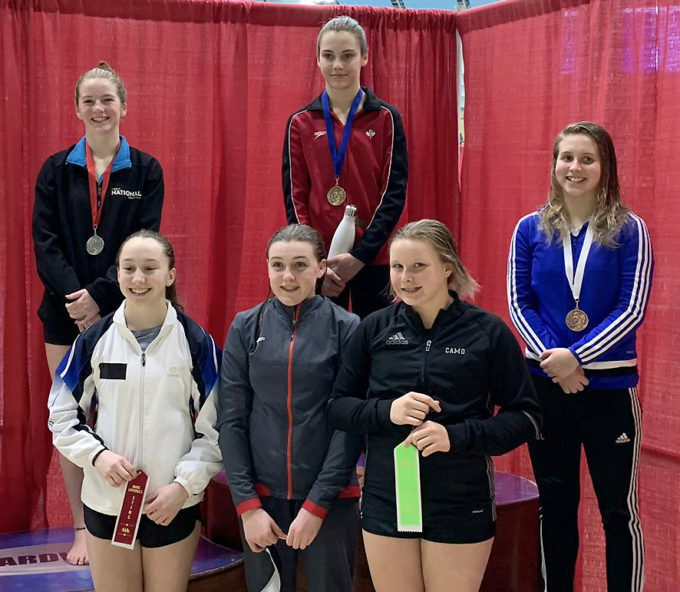 The Ottawa National Diving Club returned home last week from warm and sunny Victoria BC where we attended the 2019 Sting competition. This was the competition selected by Diving Canada as the 2019 Dresden Trials. Winners of the B category (14-15 years old) and the A category (16-18) would represent Canada at an April competition held in Dresden Germany. Each category winner would be required to meet the point standard set. 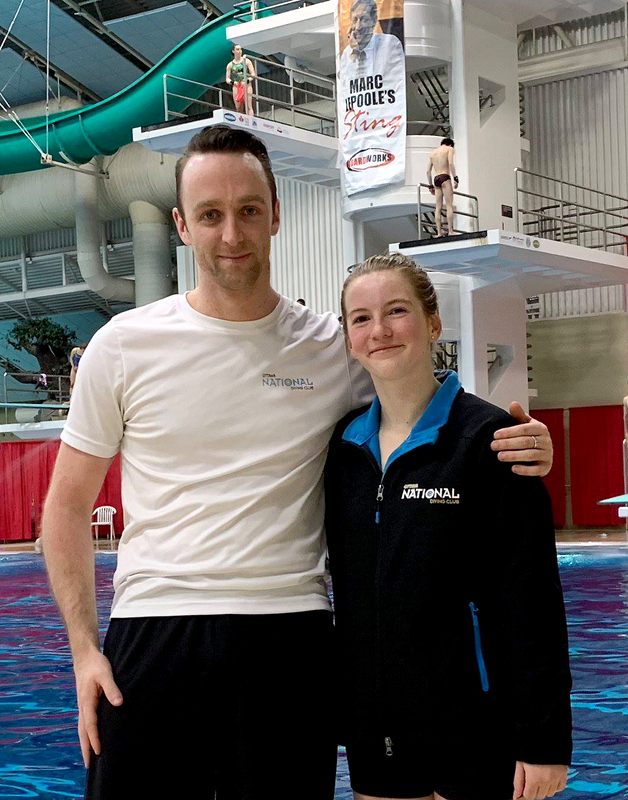 Kathryn Grant was our sole representative at this competition as only the top divers attended from all across Canada. Kathryn put in 3 solid performances over the 4 day competition finishing in the top 6 on each event. The highlight of her weekend came on her platform event. She finished with a SILVER MEDAL her most consistent performance of the season to date. Her boards events she finished in 5th on her 3m event and 6th on her 1m event. Both great performances and with such superb diving, the podium is only a few points away! It’s great to see that at the biggest junior competition of the season, aside from nationals, she is at the top of the pack and has podium potential on all events! Congratulations Kathryn on your great performances out west! If you haven’t already be sure to check out our video showcasing all of Ontario’s top athletes in attendance at the competition.